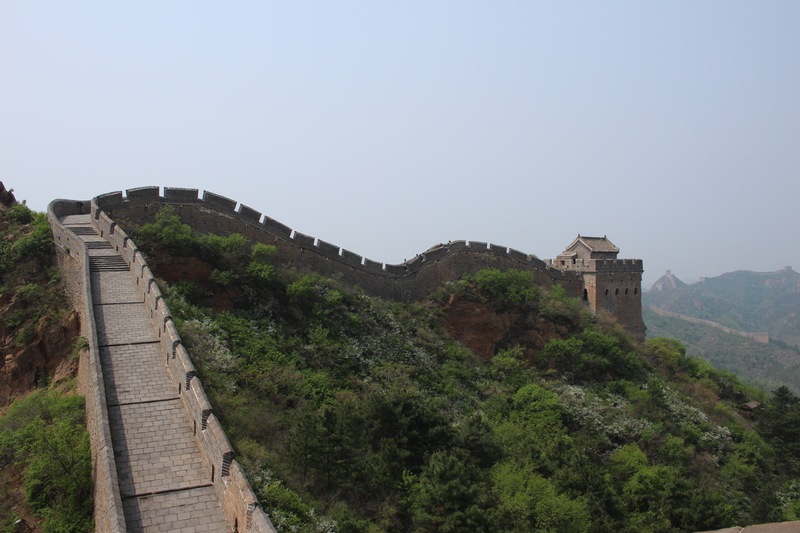 First order of business in China: see something grand, if not great. 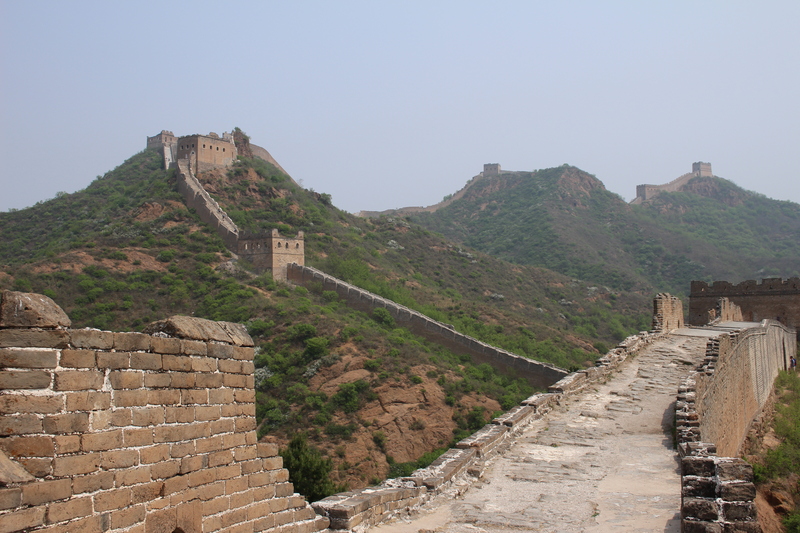 There’s only one place in the whole world that can meet this requirement, none other than the Great Wall of China. I daresay that I’ve seen many amazing things during my travels (with so much more to discover! 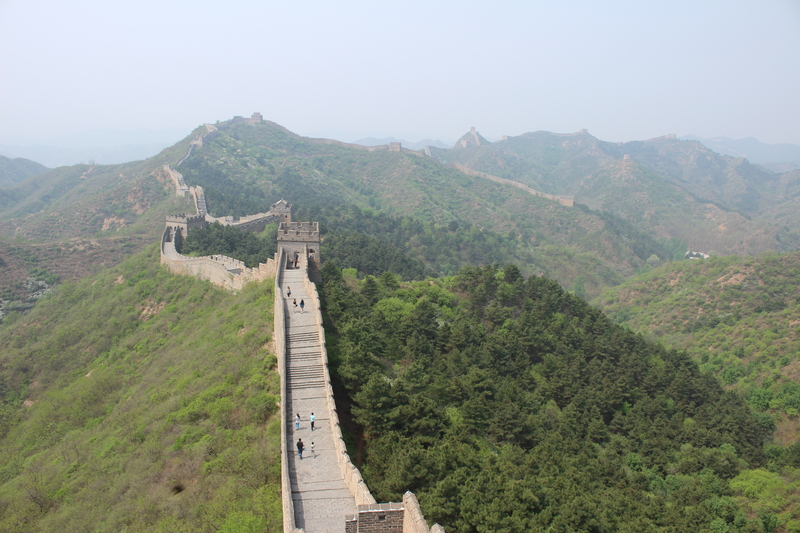 ), but no other sight tops my list quite like the Great Wall. Perhaps it’s the pride of knowing that my people built it, or maybe it’s because it brings back fond memories of when I first hiked it many years ago. It’s even possible that I just want to believe that it can be seen from outer space. In any case, I was excited to return to the Great Wall once again, and was more than eager to share this moment with Simon. 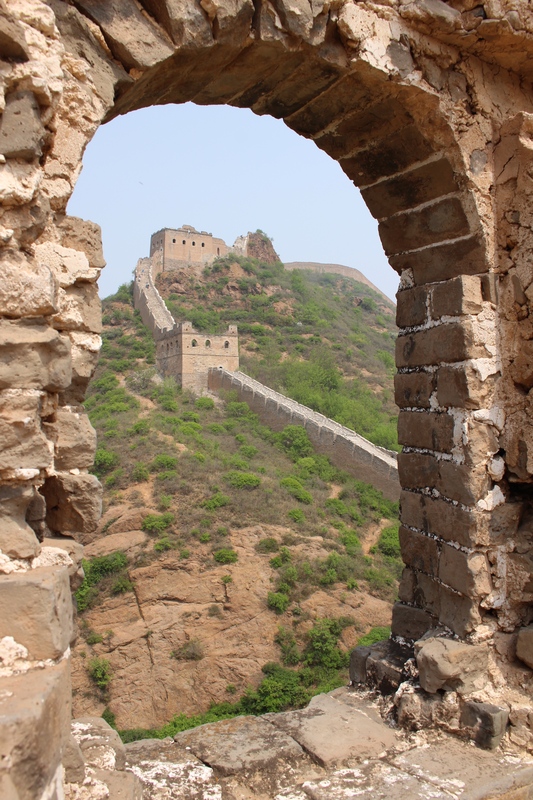 Although the Great Wall’s main purpose today is as a huge tourist must-see, one has to imagine what it was like back then in all its prime glory. 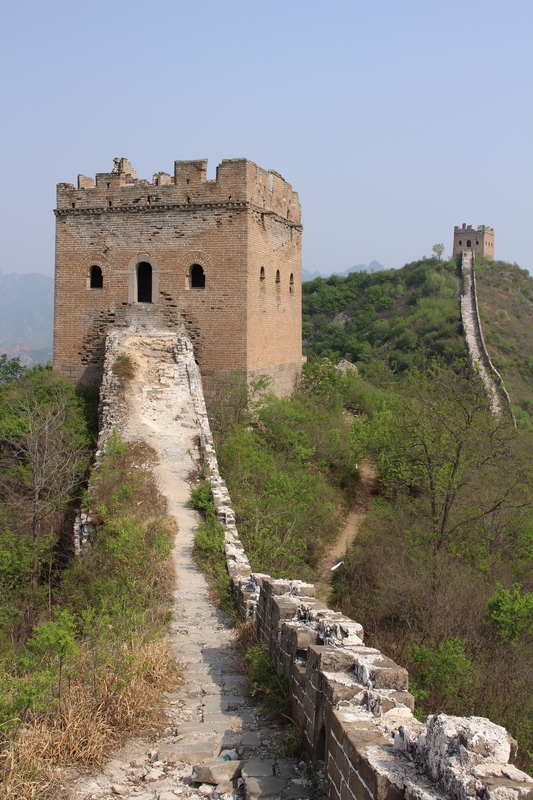 The wall was used mainly for defensive purposes to protect China from invasions from the north. The guards in the watch towers kept an eye on the border and sent signals by smoke in the case of imminent danger. There’s a lot more rich detail in the history of the wall, but I’ll leave that to the tour guide to tell you. 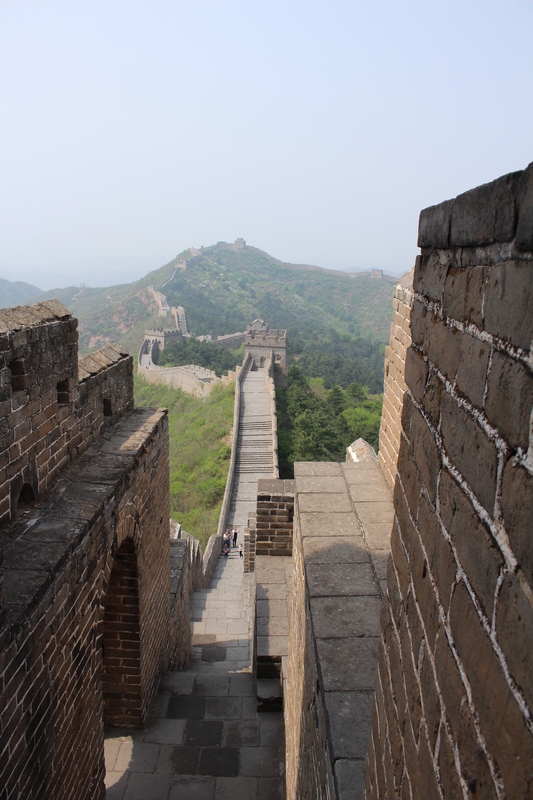 First timers to the Great Wall will often visit at Badaling, which is a section of the wall that is closest to Beijing and most frequented by tour groups. For these reasons, it is fully restored for easy access for the thousands of visitors it receives every year. 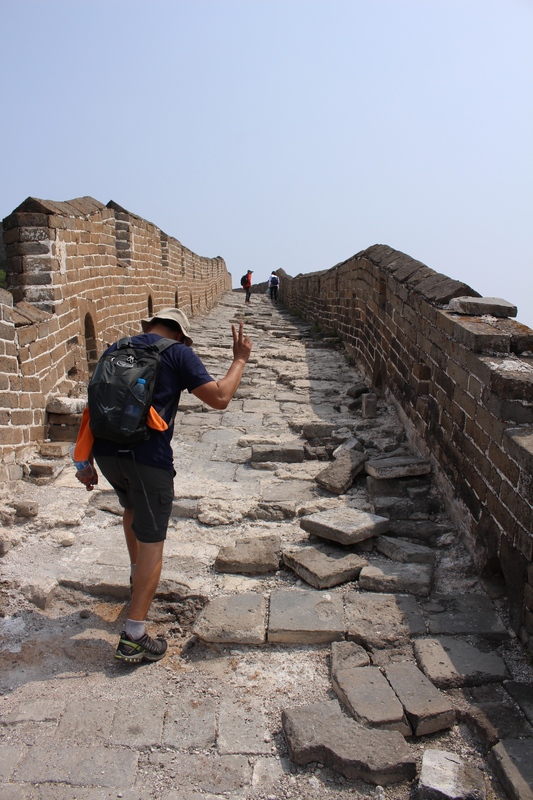 But, if you have travel time to spare and are up for something more challenging, then I highly recommend a visit to the sections that are farther away to ensure that you have the wall (mostly) all to yourself, with fewer selfie sticks and tour guide wands in sight. There are many hiking paths, but we opted for the Jinshanling to Simatai route, a three to four hour hike which included ample time for many breaks to rest and admire the scenery. 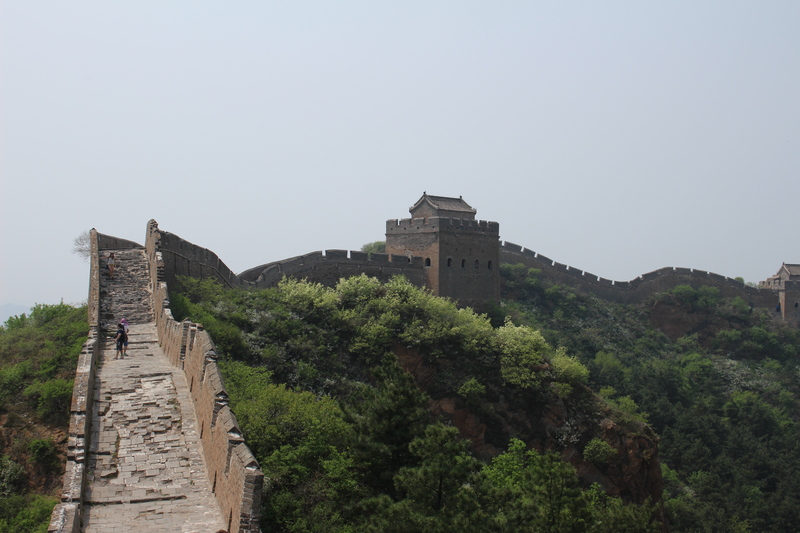 As we climbed the path leading up to the wall, my heart beat with excitement. Twenty minutes later, and there we were, standing atop one of the most impressive man made structures of all time. Simon couldn’t wipe the wide smile off his face, and neither could I. It was just as awe inspiring as I remembered. The wall stretched out endlessly as we looked from east to west, snaking along the mountainous terrain, and zig zagging into an indiscernible vanishing point on the horizon. Up and down the wall we hiked under the blazing sun. Every time we reached a watch tower, we stopped to take a water break and recharged our energy in the cool shadows. 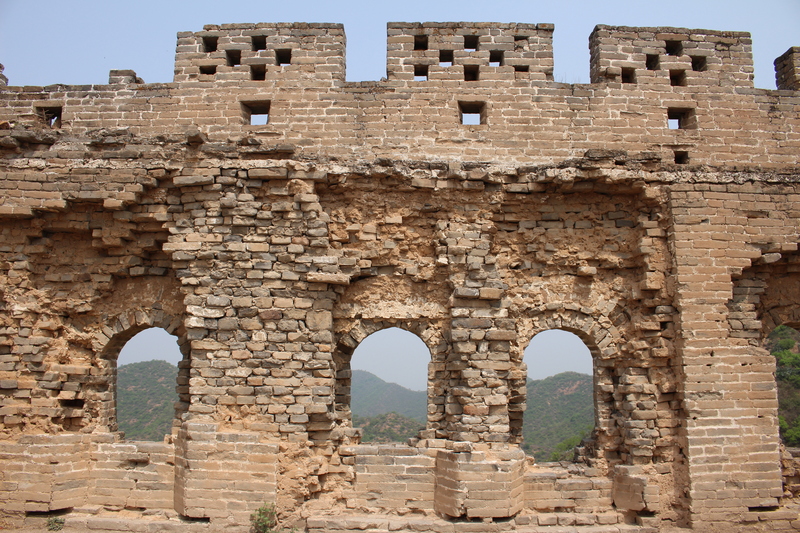 The well maintained sections of the wall soon gave way to partially rebuilt parts, and eventually to even more crumbly areas, with half open watch towers, loose bricks, and overgrowth of wild plants. It was this part of the wild wall that we were most excited about. We fought gravity climbing up steep sections nearly 45 degrees, had to have equally careful footing on some of the looser parts of the wall, and at some point were on all fours scrambling up huge narrow stairs. The sun was relentless, our quads burned, and beads of sweat constantly dripped into our eyes. Yet no matter how tired we were, the greatness of the wall kept us going with unending fervor. Great Wall, thank you for the great time.